W. W. Norton & Company, 9780393063028, 221pp. After an epiphany caused by a harrowing bite into a pink-slime burger, Max Watman resolves to hunt, fish, bake, butcher, preserve, and pickle. He buys a thousand-pound-steer--whom he names Bubbles--raises chickens, gardens, and works to transform his small-town home into a gastronomic paradise. In this compulsively readable memoir, Watman records his experiments and adventures as he tries to live closer to the land and the source of his food. 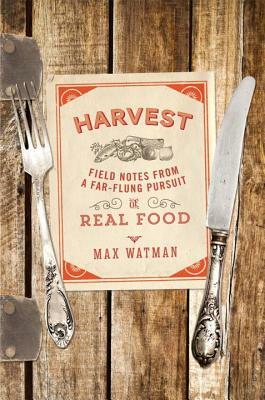 A lively raconteur, Watman draws upon his youth in rural Virginia with foodie parents--locavores before that word existed--his time cooking in restaurants, and his love of the kitchen. Amid trial and experiment, there is bound to be heartbreak. Despite a class in cheese making from a local expert, his carefully crafted Camembert resembles a chalky hockey puck. Much worse, his beloved hens--"the girls," as he calls them--are methodically attacked by a varmint, and he falls into desperate measures to defend them. Finally, he loses track of where exactly Bubbles the steer is. With infectious enthusiasm, Watman brings the reader to the furthest corners of culinary exploration. He learns that the value of living from scratch is in the trying. With a blend of down-home spirit and writing panache, he serves up a delectable taste of farm life--minus the farm.